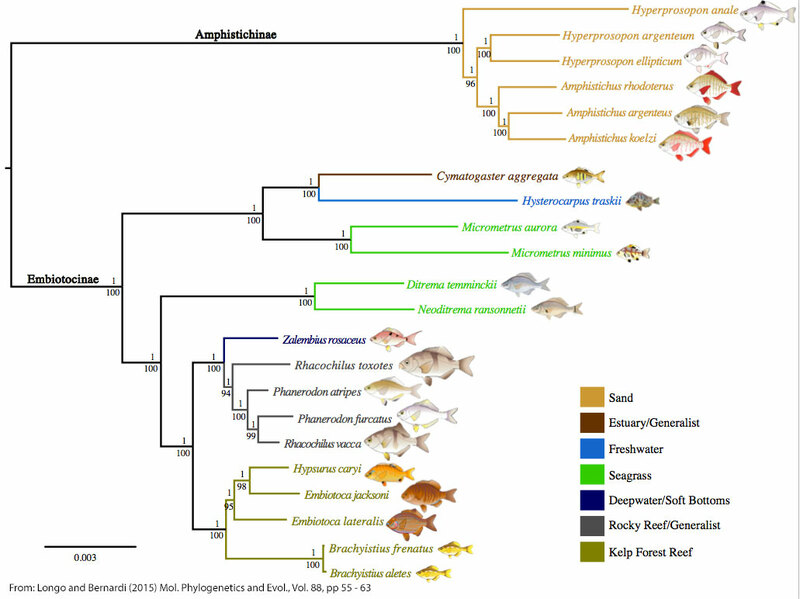 Gary Longo and Giacomo Bernardi just published a paper on the evolutionary history of surfperch (embiotocidae) in Molecular Phylogenetics and Evolution. They used RAD sequence data to describe the embiotocid radiation in the temperate North Pacific, and among the findings are (1) clades partition by habitat, suggesting adaptive radiation, and (2) the rise of kelp forests probably contributed to diversification. …within Embiotocidae, we can see some remarkable ecological diversity that in many respects encompasses what is observed in more diverse families. The authors summarize habitat partitioning by simplifying surfperch habitats into categories, color coding their phylogenetic tree (inferred from genome-wide RAD markers), and illustrating the branch tips with drawings that will be familiar to anyone who has seen Larry Allen’s work, especially The Ecology of Marine Fishes. This pleasing figure also serves as the graphical abstract. The paper will help get you up to speed on RAD sequence data and phylogenetic inference, and you’ll get insights into some taxonomic revisions we might expect down the road. Access the full article from Gary’s Publications page by clicking here. Allen, L. G., D. Pondella II, and M. H. Horn. 2006. 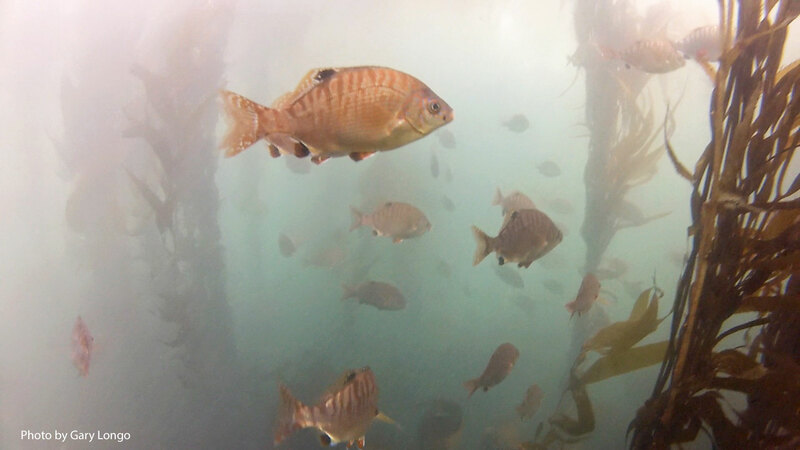 Ecology of marine fishes : California and adjacent waters. Berkeley: University of California Press. Longo, G. and G. Bernardi. 2015. The evolutionary history of the embioticid surfperch radiation based on genome-wide RAD sequence data. Molecular Phylogenetics and Evolution. Volume 88, July 2015, 55-63.